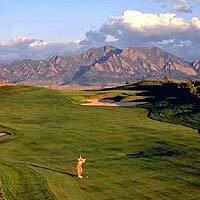 Considering a move to Broomfield Colorado? For the past few years it has seemed like everyone is moving to Broomfield, Colorado. The city’s population nearly doubled between 2000 and today, and it currently numbers just under 50,000. The average age is 36.9 years and a little more than 25 percent of the local population is under age 19. So if you’re thinking that means young families are moving to Broomfield, you’d be right. What’s bringing them to Broomfield? A location that’s an easy commute to both Denver and Boulder is certainly a selling point, but beyond the convenience there is basic economic sense. Broomfield offers value for money—even in a strong local residential market in which 98 percent of single-family homes are selling at or above their asking price. Property taxes are among the lowest in the region. The average annual property tax for a single-family residence was $672 in 2012. And the property tax mill levy has not increased since 2001, when Broomfield became a combined city and county. Retail sales tax revenues (which topped $46 million in 2012) help keep the numbers in line. What’s keeping them in Broomfield? Pharmaceuticals and healthcare are also key industries here. And let’s not forget that this is Colorado—a magnet for anyone pursuing a healthy, outdoor lifestyle—so you’ll find companies large and small working on green technology and natural and environmentally friendly products and services. Broomfield’s population growth is bound to taper off. Projections are for an increase of about 12 percent during the next five years, which is healthy and positive. The city is planning accordingly. In addition to housing developments, such as the new Anthem master-planned residential community, Broomfield’s next big plan is for a 9.8-acre mixed use activity center on Main Street and First Avenue, adjacent to the Mamie Doud Eisenhower Library, that will include retail and restaurants, parks and public spaces, residential townhomes /low-rise buildings and commercial property. A request for development proposals was issued in mid-November and bids are due in January. Another exciting plan in the works involves the 66 acres in the North Park mixed-use community in northern Broomfield where University of Colorado Health (UCHealth) plans to build a medical campus. In typical Colorado fashion, everything is thoughtfully planned to be gentle on the environment, to retain and preserve extensive areas for outdoor recreation, and to encourage the active lifestyle for which the state is famous. If your plans include a move to the area, contact us to talk about Broomfield and what it can offer you. This entry was posted in Broomfield and tagged Broomfield Home Prices, Broomfield real estate, Broomfield Real Estate Market, broomfield relocation on December 19, 2013 by Stephanie Iannone.